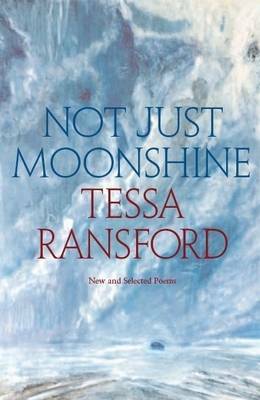 Tessa Ransford is a prolific poet and her work reflects the wide range of her interests and experience. Her poetry brims with an intellectual energy and the wisdom of feeling. Geographically, we travel from Japan, India and Pakistan through Europe via Germany and France, to Scotland. There are many references to the metaphysical and esoteric in her work, and I would like to draw attention to just a few of these themes. If we sometimes forget that pre-Christian societies had an awareness of the secret mysteries of life, hidden from the ordinary light of day, yet which can be accessed and revealed via an inner illumination, Tessa Ransford’s poetry will certainly remind us of this perennial hidden knowledge. In her writing, she talks of the megalithic peoples, with their stone circles and cairns, pointing to alignments with earth and sky, and of the Greek myths with their contemporary relevance to psychological truth and inner understanding, the Greek word ‘psyche’ meaning ‘soul’. She writes of the Dogon, who knew of Sirius’ dark twin star before it was discovered by modern astronomers, of the Buddha’s illuminated awareness, of the Christian stories and myths, of the coded mediaeval wisdom of La Dame à la Licorne Tapestries, and of the secret processes of alchemy. Her Medusa Dozen poems examine the Medusa myth, as well as pointing to the esoteric number 13, the number of annual lunar cycles, and the number of disciples plus Jesus. From Christian imagery she writes, in ‘Rose Window, Vincennes’ – ‘The form of the rose is fire/wreaths of flame like tendrils/grow from the coiled heart’. The esoteric, the inner, is inseparable from the earth, nature and the elements, as was known in pre-Christian times. The word ‘pagan’ is from the Latin pagus meaning the country, and this meaning is retained in the French pays, paysage and paysan. Tessa’s poetry is imbued with the imagery of nature, and the inhabitants of the nature kingdoms and with an intense awareness of the seasons. Trees in particular, figure in her poetry. The tree, Ygdrassil, the Axis Mundi, that which holds the worlds together – is a symbol of cosmic wholeness, the reflection of inner wisdom. Another symbol of inner wisdom is the snake. Although maligned in Christian mythology, in Eastern teachings the snake represents the kundalini, the serpent power coiled at the base of the spine, with its possibility of rising up the spinal column into the pineal gland in the brain, bringing enlightenment or illumination. As the Serpent Ouroboros, it circles the earth, tail in its mouth, the circle being a symbol both of recurring cycles and of wholeness. The coiling or spiralling serpent was the symbol of Aesculapius, the Greek god of healing dreams, and it can still be seen today in the Caduceus, the staff of Hermes, representing medicine, and in the snake encircling the bowl or container, a symbol still used by pharmacists. This coiling, upward spiralling around a container reminds us too of alchemical symbolism and the transformation of heavy, dull lead (untransformed material consciousness) into bright gold (enlightened, illuminated consciousness). There are many references to snakes in Tessa’s work. In her more recent work, Tessa’s deep affinity with nature’s seasons, elements and creatures is shown in such poems as ‘The Hunter’s Moon’, ‘Gravity and Grace’, ‘Waxwings in the Park’ and ‘The Wishing Tree’. Her deep concern for the earth reveals itself in ‘Carbon Trading’, ‘Eco-house Speaks’, ‘Quiet Nature’, ‘Earth is not Mocked’. Tessa’s poetry is also concerned with applied light – which means taking care of nature, of the environment and of other created beings – in other words, with the love that results from the soul processes of transformation. With applied light it would seem that wounds are healed, trees are nurtured rather than cut down, snakes are respected rather than killed and the ancient wisdom that reveals our cosmic and earthly interconnectedness reveals too that love, not dominion, is the natural law. From ‘The Wishing Tree’: The wind was keening the tree was silent/clouds were luminous shoots were greening/blossoms were budding from every coin. Not Just Moonshine, New and Selected Poems by Tessa Ransford. Luath Press, £12.99. An earlier version of this article appeared in Markings 27.